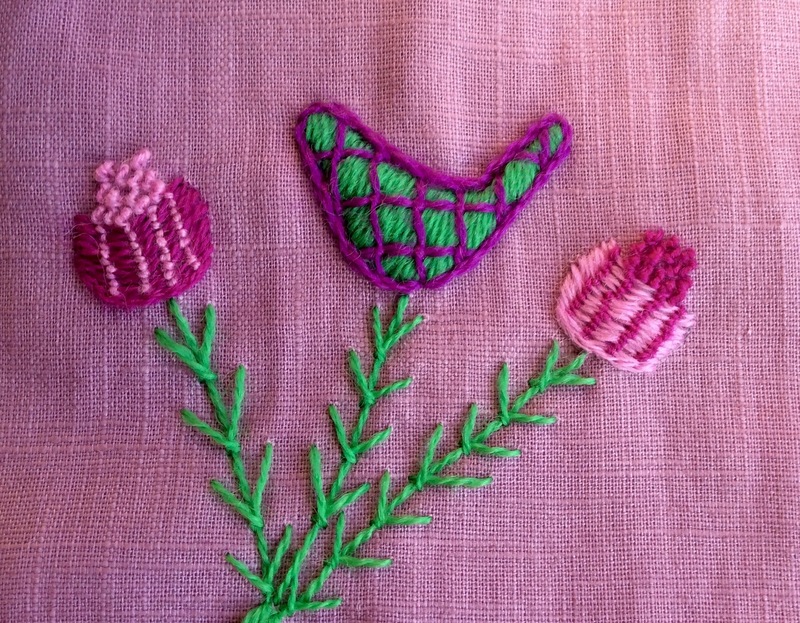 I have now finished stitching the project which features thistles and other things. I wanted to do something with thistles and to complement the thistles I have included a variety of other plant like shapes. Most of them are adaptations of ideas I came across in books or via the internet. The overall composition is mine, as is the colour scheme, the choice of threads, fabric and the range of stitches. Here is the finished piece. 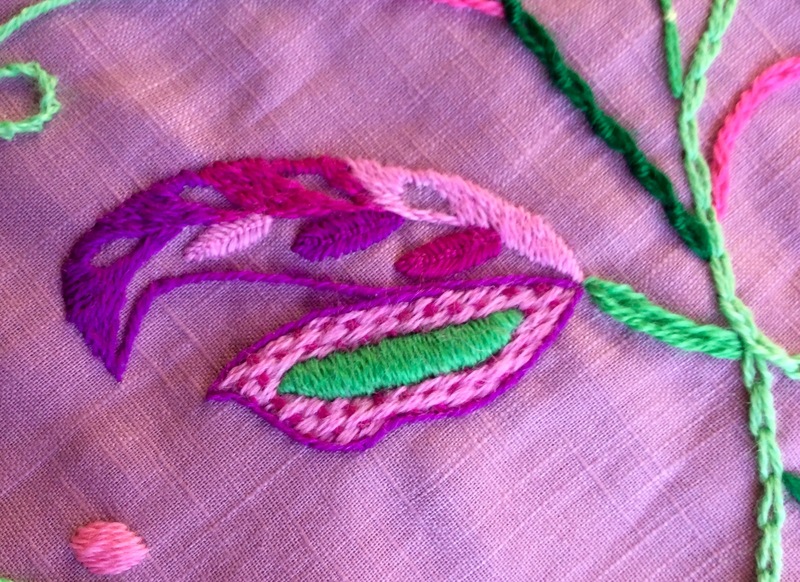 The fabric for this project is called Orchid Haze, made of 100% linen. It is from the Eden range of linen fabrics made by Wemyss. I am very pleased to have come across these linens as the company was originally founded in the village of East Wemyss in Fife, hence the name. It is now based in Dundee, so is even more local. The whole piece was stitched with Paternayan Persian wool. 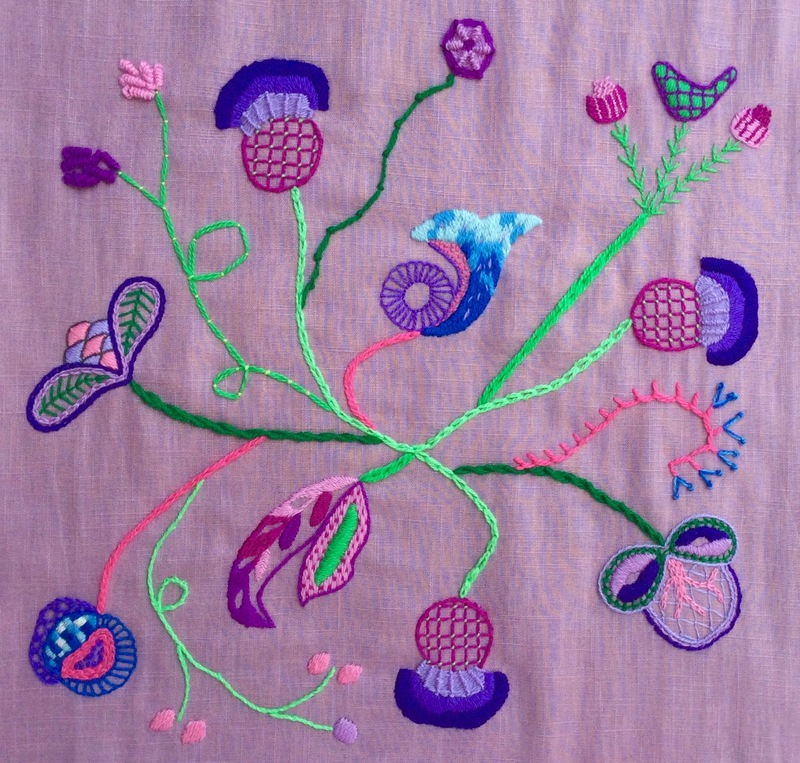 Most of the shapes were stitched in various shades of lavender, violet and fuchsia, with a bit of blue and green added for contrast. The stems were mostly in greens, with a couple in pink. It was great fun to stitch this piece, as I tried to use as many stitch patterns as possible, while keeping to a balanced composition. 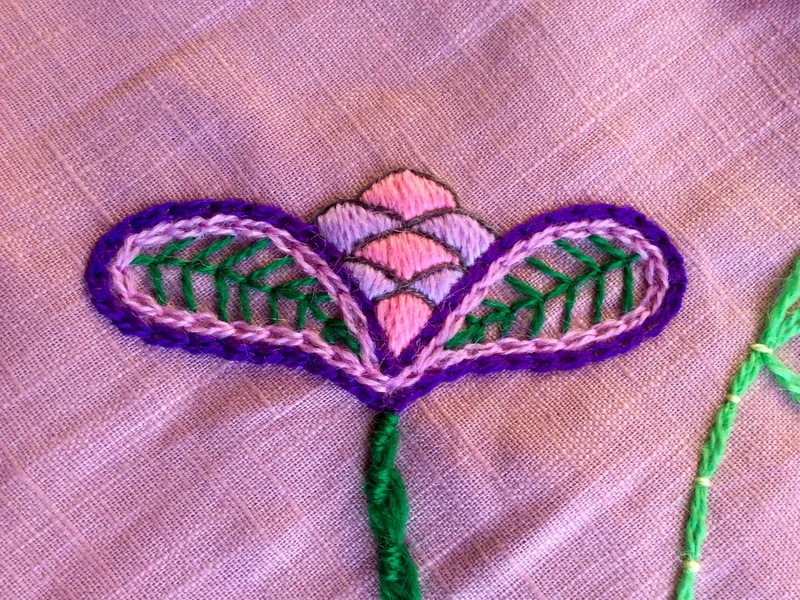 I have now become quite fond of padded satin stitch, which features in quite a few of the shapes. 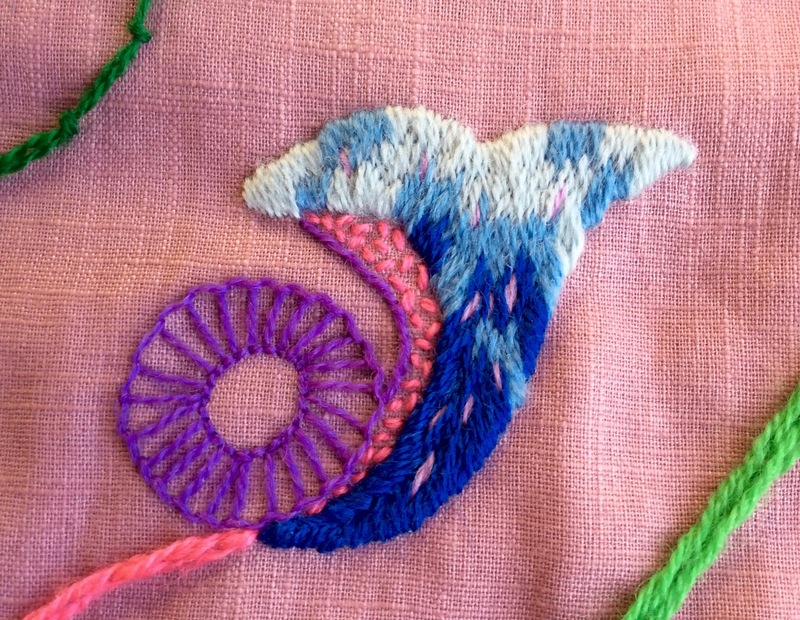 Bokara couching and pearl stitch were two of the stitches which I used for the first time. There is a close up photo of the thistle design in a previous post. Below are close ups of some of the other designs. This entry was posted in Needlework/Stitching and tagged Crewel needlework, Persian Wool, thistles. Bookmark the permalink.